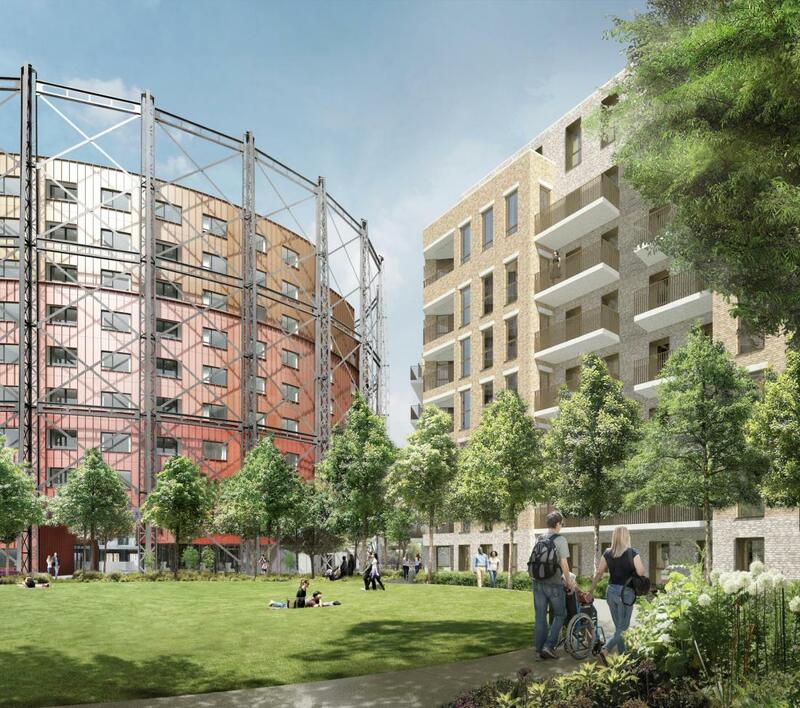 GRID, with planning consultants Boyer, have submitted a planning application for the redevelopment of Oval Gasworks for Berkeley Homes. 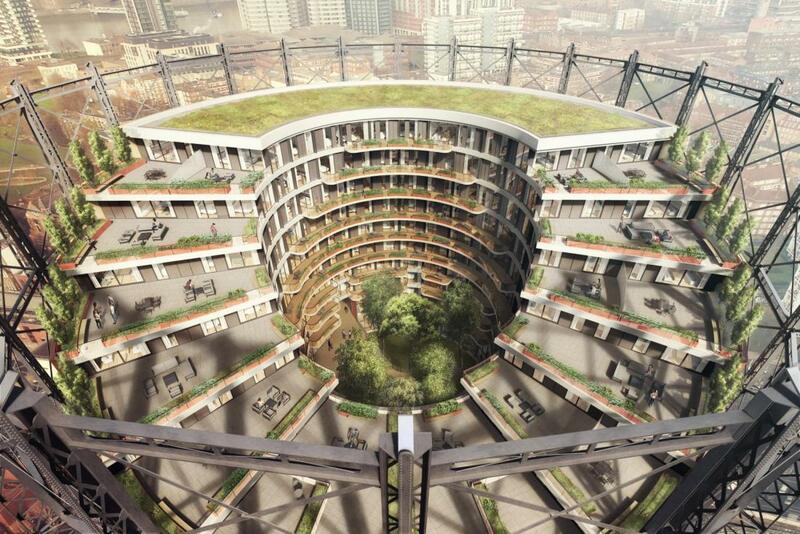 The proposal is for a comprehensive redevelopment of the historic former energy site in a series of urban blocks. 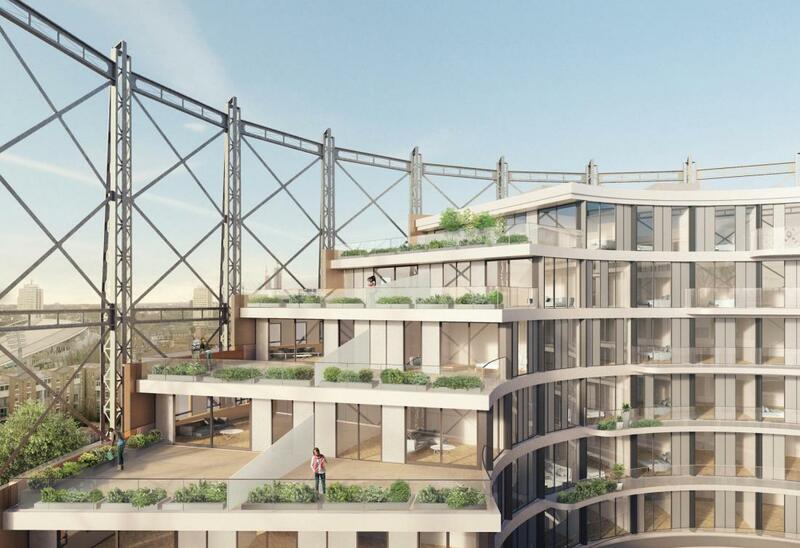 The key element, of the listed No.1 Gasholder, will see a dramatic reinterpretation as a stepped circular building with a central courtyard. The 'lifts' or casings of the gasholder is represented in three colours of metal cladding. The development will form an important residential and employment site with retail and workshops at ground level. Extensive re-imagining of the public realm with pull together the adjoining areas that have been separated for a hundred years by the impermeable boundary of the industrial site.